And there are plenty of exclusive products that you won't find anywhere else such as Beekman heirloom seeds and seed "bombs" and gorgeous Sophie Conran designed garden tools. Online you'll find how to guides and videos. 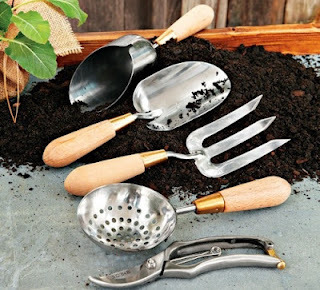 This is a particularly great place to find a gift for someone who is at any level when it comes to gardening or DIY. Hedonia blogger Sean Timberlake is the mastermind behind Punk Domestics, the go-to aggregator site for preserving, canning, cheese making and more. 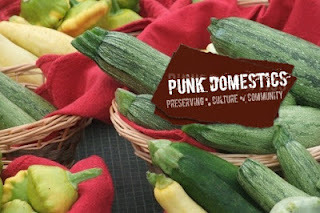 Instead of searching individual blogs, you can visit Punk Domestics and find posts on a wide variety of topics having to do with jams, jellies and preserves, pickling, salumi and charcuterie and even foraging. Head over to see the latest or dig in when you're ready to try something new. Let the links on the right hand for things like Drying and Dehydrating or Home Brewing do the research for you. If it wasn't for Vanessa Barrington's book DIY Delicious, I never would have tried and succeeded in making corn tortillas. In addition to recipes for ingredients, Barrington also shares recipes for how to use your new creations such as spicy kimchi (hello!) and spicy soft tofu soup with kimchi. This is not a preserving book per se, but more about culinary DIY. Jam it, Pickle it, Cure it and Can it, Bottle it, Smoke it are two books that cover a wide variety of projects you can take on at home. 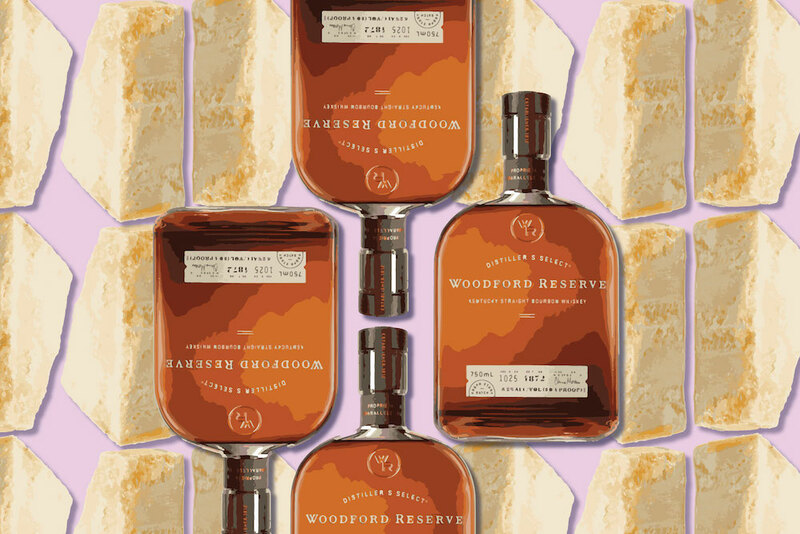 From easy ones like making chocolate hazelnut spread to more complicated ones such as smoking your own pastrami or making masa from scratch and everything in between (think vanilla extract, beef jerky, ginger beer, graham crackers, etc.) A number of the recipes in these books are also in a long out of print favorite of mine, Better than Store-Bought, which you can occasionally find online, but Karen Solomon's book are much more contemporary and hip. In The Blue Chair Jam Cookbook Rachel Saunders creates jams with enticing fruit and floral combinations like rhubarb rose conserve with cherries, blueberry jam with mint, Italian prune and cardamon conserve, pear jam with rosemary and pine and boysenberry jam with lemon verbena. Need I say more? Chef and restaurateur Paul Virant's handsome book The Preservation Kitchen includes recipes for pickles and relishes, jams and marmalades as well as bittersweet preserves specifically mostarda and aigre-doux (a kind of sweet sour vinegary preserve of fruit or vegetables) and fermented and cured foods in addition to pressure canned preserves. The second part of the book consists of seasonal recipes using the preserves. Home Made is a hard book to describe; it's got a little bit of everything, like preserving vegetables, making broth, herbal teas, cheese, ice cream, chocolate and mustard. The layout is amazing with lots of photographs, technique shots and even hand drawn illustrations. There are also tons of recipes that just use fresh ingredients. The seasoned labneh balls in olive oil are particularly good. Put 'em Up and Well-Preserved are two great books on preserving, and include drying, freezing and dehydrating. Both have compelling recipes and easy-to-follow clear instructions. It's hard for me to say which of the two I like best, the major difference is that Put'em Up is all about preserving, whereas Well-Preserved focuses on small batch preserving and also includes recipes for using the preserves such as preserved zucchini in a shrimp and preserved zucchini salad.